Large Turkey for the disguise a turkey homework/ family project (My favorite kindergarten project ever!) Each student receives a copy of the turkey. A letter is sent home to parents explaining that they can help their child dress their turkey in a costume such as doctor, clown, football players, etc… The goal is to disguise the turkey so no one eats him for Thanksgiving dinner! 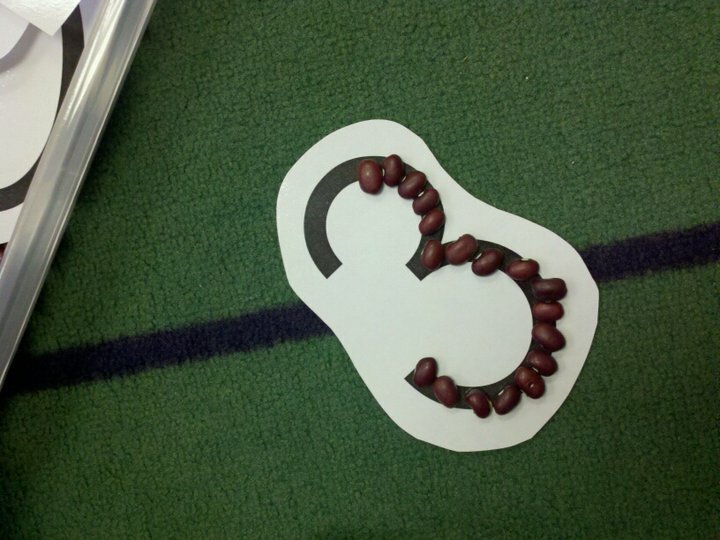 I took the above numeral cards, laminated them ,cut them out, and placed them into a tub of dry kidney beans! Instant math center! Just make sure you have enough beans so everyone can create a few numbers at a time. I am going to organize all the links to my favorite printable sites right here! These sites have some awesome ideas for any kindergarten classroom!